Start taking classes at Studio Exclusive and other studios! 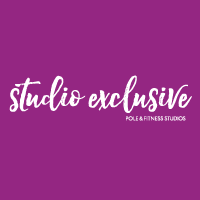 Studio Exclusive is a women’s only pole dancing fitness experience. They help women like you to rediscover your inner siren, regain your confidence and strengthen your body. Of course all that’s helped along by a good dollop of fun and the support of a sensational community of women. All in all, it’s really quite addictive. Please bring a water bottle and towel to class. really fun class. I did feel a bit dizzy so beware newbies!